Hi, I found your listing on autoTRADER and would like to test drive 2017 Mitsubishi Lancer. Thank you. Know your car's value in minutes. Trade-in at House of Cars MacLeod today and take advantage of tax savings. House of Cars MacLeod will honour your trade in offer – and might even pay more. *TOP USED CAR DEALERSHIP 2016, 2017, 2018 in Calgary, AB Top Choice Awards *READER'S CHOICE AWARD 2016-2017 - Calgary Herald / Calgary Sun *TOP USED CAR DEALERSHIP 2016 in Calgary, AB Metro Choice Awards *2015 PLATINUM DEALER AWARD Scotia Dealer Advantage *2014 VOLUME ACHIEVEMENT AWARD Scotia Dealer Advantage * 2013, 2014 ELITE DEALER TD Auto Finance Did you know...the value of a new vehicle can depreciate by as much as 11% just for driving home from off the lot? So why buy new when barely-used will do? *Currently selling 2017 models* Good Credit, Bad Credit, New-To-Canada, All Credit Accepted! 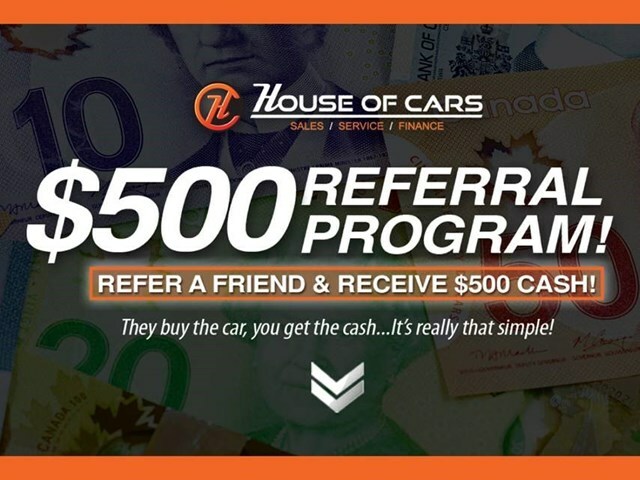 Visit http://www.houseofcarscalgary.com/ to apply today! - Low Bi-Weekly Payments! - Over 400+ Cars, Trucks and SUV's! - Credit Consolidation! - Credit Rebuilding Program! - Unemployment Insurance! - Private Sale Financing! Cant find the vehicle youre looking for? Well find it for you! We have access to thousands of vehicles countrywide. Call us at (403) 457-2244 or visit our website at http://www.houseofcarscalgary.com/ *ALL VEHICLES COME WITH FULL MECHANICAL FITNESS ASSESSMENT, VERIFIED CARPROOF & WARRANTY IS AVAILABLE! Located @ 3909 Macleod Tail S, Calgary, Alberta T2G 2R4 (403) 457-2244 Price is based on vehicles only. Lubrico warranty, aftermarket products & GST extra (O.A.C.). All pictures are an accurate representation of vehicle being sold. Financing is available! Your ability to obtain financing as well as the APR, term and other finance offer specifics, can only be determined based on your creditworthiness after submitting a credit application. Each individual's credit will result in different bi-weekly payments and cost of credit amounts. House of Cars Inc. is an AMVIC licensed automotive retail dealer. Serving Alberta for over 5 Years!!! Hi, I have a question about a 2017 Mitsubishi Lancer ES Back up Camera / Bluetooth FWD Sedan - Calgary that I found on autotrader.ca. I agree to recieve text messages and phone calls from House of Cars MacLeod at the phone number that I have entered above. I understand that the message and data rates may apply. Get a trade-in offer from House of Cars MacLeod without setting foot on the lot.